Patricia Nichols Curcuru, a.k.a. “The Coke Lady”, age 97, passed away peacefully in her sleep at a Long Island medical facility on December 31st, 2018 from old age. Born in August 1921, Patricia or “Pat” grew up in Highland Falls, NY, daughter of George Nichols and Marie Howell, with her sister Penny. Years after the early death of Pat’s mother Marie, George remarried and had two further daughters, Nancy and Georgia. The four sisters kept in close touch their whole lives and planned family reunions later as the “Golden Girls”. Growing up as a banker’s daughter, Pat learned the value of hard work and investing money at an early age. She worked summers at the First National Bank of Highland Falls, working her way up to teller, as well as many other jobs. She tracked her pay carefully and started investing in stocks at an early age, including her beloved Coca-Cola company. Pat started balancing her checkbook daily, a habit she kept up every day of her life. Attending the College of William & Mary for her undergraduate degree, she was a proud member of the Kappa Alpha Theta sorority, as were her mother and grandmother. She continued her education and sorority work at Syracuse University with a masters in mathematics. She met her West Point sweetheart Edmond H. Curcuru shortly before he departed for the European Theater in World War II as an officer freshly graduated from the USMA. Their first son Steven was born while Edmond was leading his men with the 101st Airborne Division in France and Belgium. Patricia and Edmond moved frequently for Edmond’s management jobs after the war, while she did seasonal work as a tax preparer for H&R Block and worked as a part-time real estate agent. They enjoyed traveling the world around, especially to anyplace with sunny beaches. Along with her gregarious personality, having a story for everyone and every situation, Patricia continued her life-long love affair with Coca-Cola. From drinking her daily Coke to collecting reproduction and historical Coke trays, posters, and even several working refrigerated Coca-Cola coolers, she was known as “The Coke Lady” near and far. Patricia called several places home in her life, including Palm Springs, CA; Weston, CT; and both Longboat Key, FL, and Southold, NY, where she loved swimming in the bays and watching the sunset over the waves on the beaches. Patricia was predeceased by her husband Edmond H. Curcuru and son Steven N. Curcuru; and is survived by her remaining sons Kevin H. Curcuru, and Kim M. Curcuru; grandchildren Shane Curcuru, Emily Curcuru, Julie Curcuru, and Todd Curcuru, and great-grandchildren Roxanne Curcuru, Arin Mcgilvray. Alistair and Ariana Dreher. Services will be held later this summer in Southold, NY, at the family plot. In lieu of flowers, donations can be made to your preferred U.S. Army Veterans organization, or to the North Fork United Methodist Church, in memoriam of Patricia Curcuru “The Coke Lady”. The silence was overwhelming. I tried not to add any noise to it and kept my steps slow and light so as not to attract them. This was my third round going out from my shelter. I knew before the day was over I’d need more supplies; even hiding and moving slowly when you’re scared out of your wits takes a lot of energy. Plus the bandage on my wrist was a standing reminder of my injury this morning where I fell due to a bad roll. Slowly walking up the side of what I almost thought of as ‘my’ street, I paused to listen and look. Suddenly the blocky storefronts and straight city blocks reminded me of Minecraft, and I let out a short burst of laughter at the comparison to my situation. Oh, crap. What was that? I’d learned early on that they were attracted to sounds of almost all kinds. That laugh was probably loud enough to attract someone – or should I say something, since while they may still look like my gaming friends, they’re not. The Zombie Flu came on suddenly and swiftly, and it was… well, none of that matters now that I hear some shuffling from the storefront on my left – and now I can see one down the street behind me! Where to go? Augh! There’s a handy fire escape across the street, but I can’t climb – the bandage on my wrist reminds me of that. Walking fast down the street, I’m hoping to get past their slow walk before their inevitable moaning attracts more. Ah-ha, an alley just ahead, and I’m far enough ahead of the shambling to make it around the corner without much chance of being spotted. Now I just need to find the crate that’s always in this kind of alley to hide out in until they shuffle by and forget me. Here it is – open it up quietly, quietly! Glance behind me at the alley entrance, good, they haven’t seen me. Reach inside the crate for the convenient hiding blanket I know is in there, and… hear the moan just as the zombie lying under the blanket bites into my uninjured wrist. Well, round three was fun as a human character. Now I get to play as a zombie with my friends for round four and listen for sounds in the silence! We’re rebuilding the front steps, and since the masons are using concrete blocks, we have an opportunity to include a time capsule. Here are a few notes we’re including. This is a message from the past. The date is August 11th, 2017, and it was a beautiful New England summer day. We had pancakes for breakfast and plenty of coffee, and then I wrote this blog post in my office on a MacBook Air 13inch laptop that’s a few years old but that I still love using. Since we have an opportunity to put a solid time capsule into our new front stoop, we decided to write a few messages to our future selves. Be Excellent To Each Other. Yes, Bill & Ted may be a cheesy movie closing out the 1980’s (a decade of changing tastes where I grew up), but it had a good message. Start work on tasks now. You don’t have to finish them, but just getting a start on something really helps later. Leave time for editing. It always comes out better if you write something, sleep on it, and edit it later. Family comes first. Duh. And meow. Close friends come next. Duh. Maybe someday you’ll actually send birthday cards again? Vote. It may be that “democracy is the worst form of Government except all those other forms that have been tried from time to time”, but it’s still something you can help, and always voting (I do) is one of those ways. When in Rome… and when with So-and-so. It’s still hard to remember sometimes, but having empathy to see where the other person is coming from (or what they’re feeling about the issue) helps everyone when conflict comes around. Respectfully agree to disagree. When it comes to working together, make sure people understand how the group makes (formal) decisions. Open source – and open-other-things – is the future. Keep working on helping people understand how to do it. but food is sooooo good that’s harder to do all the time. Treat everyone as an individual. Duh. Unfortunately, it seems some of the world is still having a hard time with that. I really hope it’s gotten better by the time you read this. Welcome! If you’re not me, and don’t know who Shane was, welcome to your new home! I suppose I should first say welcome to the construction crew that was knocking the front steps on this house down – hope it’s a good job! Shane and his family lived here happily for ~20 years. I’m married to Amy, we’ve always had cats (between one and four, depending on the year), and our daughter is now turning into an amazing young woman. We expanded the master bedroom and we have a view of the Boston skyline in the winter, when the leaves are off the trees. I hope the giant oak is still growing on the back corner of the property; it’s beautiful and gives great shade. We cut down several of the Norway Maples on the other back corner; please feel free to cut down the rest if they’re still there (they grow too fast and too straight up). I hope the downstairs bath still has the blue dots and lantern marble tiles – I’m quite proud of how my design all came together. And I’m hoping to rebuild the kitchen before you read this note, since it’s still the original 1940 layout and is quite cramped. If we haven’t, be sure to check under the floorboards for the super-funky original linoleum pattern. Welcome to Arlington! It’s a great town to live in: good schools, town government, and services. The park down the street is beautiful. We’re still not as crowded-feeling as Cambridge, but we have plenty of great restaurants and just enough nice local shops in town. Hope you enjoy your new front steps after you rebuild them! This stoop was originally built at the same time we had the sewer and water lines done, and the driveway redone, so unless something went wrong, those should still be good for years to come. If I’m smart, you’ll still be able to read this on your laptop. Or handheld computer. Or just in your network connected consciousness. Fnord. Thank you, Great Uncle Louie! This Memorial Day in the US I’d like to post to thank my great uncle Louis, my grandfather Edmond’s brother and fellow West Point cadet of the class of June 1943. I’d also like to thank everyone who is or has served in the US armed forces. No matter what your position was, and no matter where you served, please know that we appreciate your service. My grandfather Edmond and his older brother Louis Anthony Curcuru were both appointed to West Point in the same class by the Congressman from Michigan, which is fairly rare. 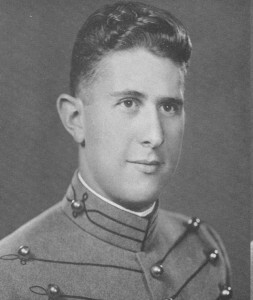 While Edmond turned towards paratroops – eventually serving in the 101st at Bastogne, Louis turned towards the Army Air Force during his time at West Point. My great uncle Louis Anthony Curcuru, who died while serving at West Point. On October 29, 2942, Lou Curcuru died doing the thing he liked best – flying. That is good to remember, for not all men is granted such high fortune. However, there are other things to remember: experiences in Beast Barracks, Yearling Summer Camp, primary training, and the years stretching between these landmarks in our friendship. Academically Lou ranked high, but he was more than a fine student. Matured, orderly, attentive to duty, and purposeful, he possessed a rich fund of jovial good humor and an unforgettable rollincking laugh. His real love for music and his cultured baritone voice made him an asset to the Chapel Choir, Also, there are memories of truck trips, football trips, maneuvers, and Sunday night sessions when no ‘harmonizing’ was complete without ‘Louie’. Athletically above average, lou won his numerals in soccer; and, during the winter of plebe year, helped drive ‘F’ Company’s ‘Flaming Devils’ to the intramural hockey championship. All these things characterized him; but if we think clearly we will think of Lou first in terms of his steadiness and dependability. No, these are not spectacular virtues – but they are invaluable. How many of us can claim them as he could? His quiet, persevering ability was axiomatic; ahd this is the quality which will define him in our minds. Thanks to great uncle Louie and to all who serve. This serves as a public notice that my beloved Motorola Razr M phone died (no longer bootable; local data not recovered) a few weeks ago, immediately before flying to attend OSCON 2014. Since I was busy at the conference, and since I couldn’t decide on what to upgrade to, I took a while replacing my phone. It was a strange experience traveling without a cell phone, I must say! Please note that as of now I now have a working Moto X, which I love, and which I’m still working through setting up. This is important for various two factor authorization setups I have that used my old phone, which I now need to figure out how to re-create. Ugh. Sometimes it’s hard to get things done. There tasks at work keep changing their goalposts. Way behind on Apache email – not just because the lists are all down, although that’s pretty bad too. Grey at home and tired, and allergies, and Amy is away on a trip, and the cats have an unnatural ability to shed more fur than their own weight every week. And while basic work gets done, none of the fun stuff seems to get done enough, not much of the creative and positive things I’m really interested in finishing and doing seem to be approachable. But really, life is awesome. It just takes perspective. From the above, we find I have a job that pays me, a volunteer career that I love, a wonderful family, and a comfortable house, and cats. So really, life is pretty awesome, as in awesomely good. Just a reminder to self, really, that being creative is a big cheer-er-upper for me, and focusing on writing more leads to being cheerier, which leads to more writing (and doing) and generally more awesomeness all around. My father – the self-styled Ol’Wizard – passed away over a year ago, and there’s been a lot of paperwork clearing up the estate. He also chose to bequest some funds for a few local charities in his estate plan, which I’m working on disbursing now. He wanted to both be remembered, and to help out both people and animals: in the first case, journalism students and Coast Guard sailors; in the second case, cats at a pair of local animal shelters. Here’s where I need your help. In each case, the gift is at a level where I am offered a small sign or plaque to commemorate his gift. I need your help, dear readers, to come up with some witty sayings or words of wisdom from the Ol’Wiz to pass on his message from the beyond. The first assignment is a set of short messages for the Northeast Animal Shelter, where dad’s donation covers the cost of several sets of cat and kitten cages in this great no-kill shelter. I’ve already arranged to sponsor two sets of cages: for the cats, three cages in a row on the top shelf, and then two cages in a row immediately below them. Similarly, there are four kitten cages grouped together. As my father was fond of witty sayings, I was hoping to come up with a pair of short “stories” or Burma Shave-like quotes that would fit on these small plaques in order. Since the cages sponsored are right next to each other, I think this would also be memorable for people looking for just the right shelter cat (or kitten) to bring home. Each of these plaques is a small plastic sign, hung at the top of the cage. Most of the other cages that are claimed have text like “In memoriam, with much love from our dear father John Doe” or the like. It seems like we could have either two lines of reasonable sized text (somewhat short), or three lines of somewhat smaller font on each plaque. What say you, friends of the Wizard passed? Any good turns of phrase, or anything you can imagine Ol’Wiz exhorting some humans come to do the good deed of adding a shelter cat to their home? Similarly, we have also sponsored a bench (to be placed outdoors, probably by the intake area for people dropping off animals) with a very slightly larger plaque, either three or possibly four lines of text depending on how the shelter prints the signs. Any ideas for an outdoor sign?